You studied very hard for an examination and when the results came out, you got a "C", get over it! You ask a girl out on a date and she turns you down, get over it! There are a million other girls out there willing to go on a date with you. Your girlfriend or boyfriend just broke up with you for no reason, get over it. He/she may not be the right one for you. 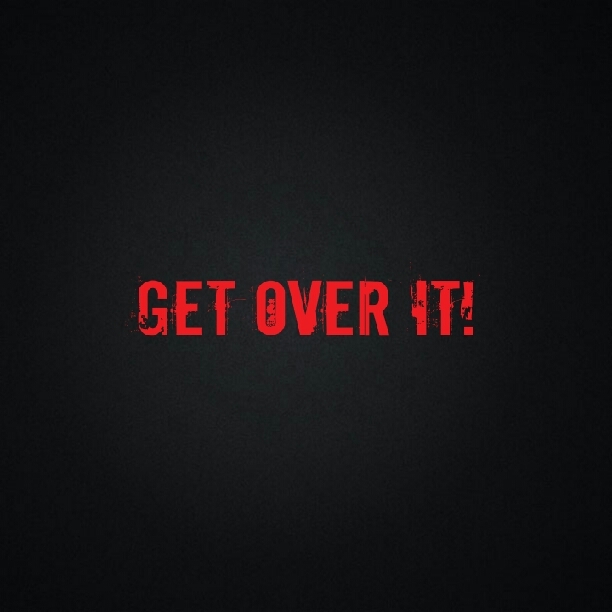 it, get over it! You can always upload better ones. You try to crack a joke and no one laughs, get over it! Learn your lesson and crack better jokes. 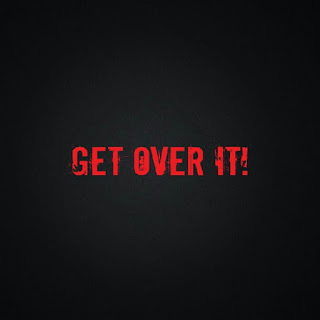 A loved one dies, get over it! Crying and grieving won't bring him back. You apply for a job and you were not shortlisted for interview, get over it! One door closes, another opens. You start a business and you encounter difficulties or failure, get over it! Keep trying, success doesn't come easy! You don't look as beautiful as those you believe are beautiful, get over it! Love yourself the way you are and see the beauty in yourself. Learn the art of getting over things. There is no need to feel negative and sad when things don't really go your way. You've got to keep hoping for the best by continually taking action, no matter the outcome. Dwelling in negativity and sadness will never ever help you. You've got to get over it and keep being optimistic for better things. You keep trying your best and never look down on yourself. It all boils down to you. You get to choose how to react to things that happen to you. Do you cry, do you frown and get discouraged? Or would you rather get over it and keep on putting out your best?